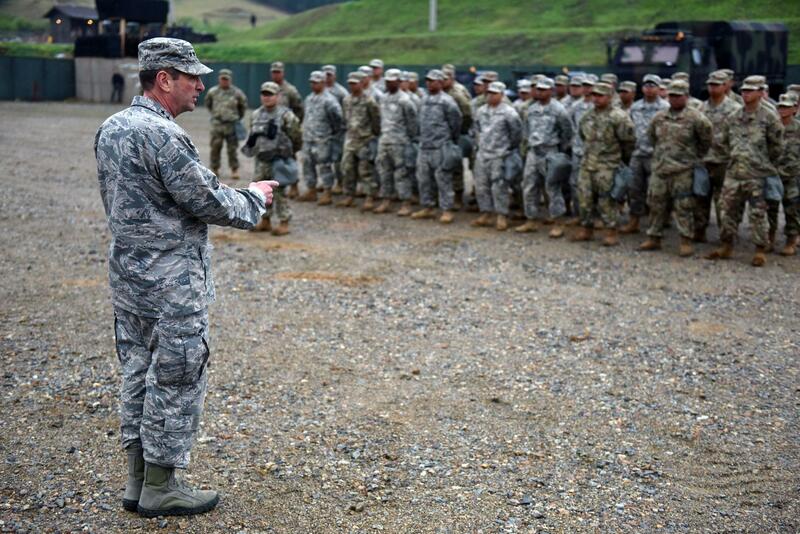 "We are raising our readiness," Air Force Gen. Joseph Lengyel, chief of the National Guard Bureau, said during visits with Guard members in South Korea, May 1-4, 2018. "It's our job." For the last couple of years, U.S. Air Force personnel serving in South Korea have been allowed to wear masks when air quality levels deteriorate to a certain level. But that has not been the case for the army — until now. Air pollution has been a growing problem in South Korea, especially tiny particles of fine dust, or particulate matter, that can be drawn deep into the lungs. South Korea’s government just announced that March was the worst month on record for fine dust pollution in Seoul with conditions more than four times as bad as they were just a year ago. The Chosun Ilbo says March usually brings the worst pollution of the year in part because heating from burning coal continues in many parts of China, along with strong westerly winds. South Korea’s Yonhap News Agency says President Moon Jae-in and the ruling Democratic Party are putting together a supplementary budget including more funding to fight air pollution — with a final version due by the end of the month.